Serving Tray for Teutonic Dark Beer and Rheingold Pale Beer from Chas. 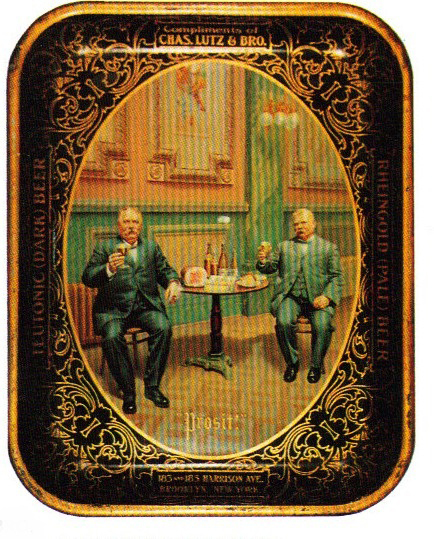 Lutz & Bros. out of Brooklyn, New York showing in the center two elderly gentlemen holding up their glass of the company’s brew. Tray is a 14″ x 11″ rectangular tray manufactured by American Art Works.